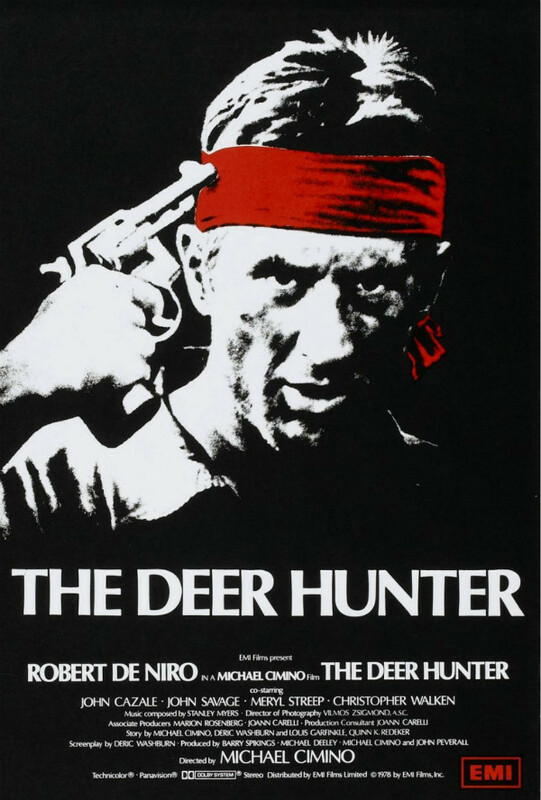 The Deer Hunter is a 1978 American epic war drama film co-written and directed by Michael Cimino about a trio of Russian American steelworkers and their service in the Vietnam War. The font used for the film title in the poster is very similar to Optima Extra Black, which is a clear and precise humanist sans serif typeface designed by the renowned type designer Hermann Zapf. Optima was inspired by classical Roman inscriptions and is distinguished by its flared terminals – the ends of letters. The Optima font identified above is not available for free, please follow the link above and purchase the font. Meanwhile, you can take a look at our collection of fonts for cars, pop music and apparel as well as round-ups of new & fresh fonts around the web. In addition to The Deer Hunter, Optima typeface is also used in the following logos, movie posters or album covers etc., including: Queen Raquela, Kronos, Where’s Wally, Theme Hospital, Just What You Need, New Gold Logo, Aston Martin, Qatar Airways, First United, Ernst & Young, Island Records, Game Change, Amblin Entertainment, The English Patient, Lojas Renner.